I've just had another brilliant purchase experience with Cable Chick. I didn't even know if the product I needed existed, but with a quick call your team found it online for me and gave me the right advice. Delivery was surprisingly prompt and I always enjoy the minties you throw in. Thanks again. 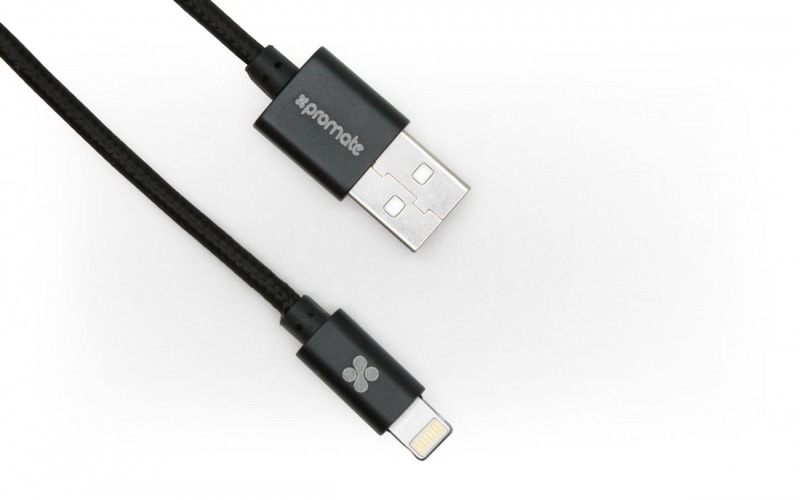 Not to be confused with our other Premium Lightning or Micro USB cables, this is actually a revesible two-in-one cable that can be connected to either an iOS device OR a Micro USB connection with just a twist of the wrist!!! My Premium Lightning/Micro USB Cables are fully MFi Certified and feature a heavy duty mesh armour along with strengthened connectors and a strain relief (finally) for a long bend lifetime. Don't get me wrong, the quickest way to break a charging cable is to use your device whilst it's charging. Even worse is when you see charging cables kinked at the connector because the cable is being pulled too tightly. Our Premium Lightning and Micro USB Cables won't protect you forever in these situations but are definitely robust enough to give it a good go. This Premium cable comes in a jet black colour and is just a little longer than a standard charging cable at 1.2 meters. Being a dual connected cable means you will lose the ability to insert the cable in any orientation into you iOS device, if it doesn't immediately start charging, take the cable out, flip over the connector, and try again. As always, these Premium Lightning and Micro USB cables come with our industry leading 5 Year Warranty!!! Fully compatible with ANY Micro USB connected device! I was very happy with my ordered product and it was delivered very promptly, will definitely be ordering from Cable Chick when I need another product.